All the talk about Lance Armstrong lately has got us thinking about our own cycling superstar. What a difference. Sir Bradley Wiggins told the Guardian last year that he’d consider accepting a knighthood as long as he’d be called Sir Wiggo. Now he says that he’ll only apply his title in a comedy way, but he might make his team mates use it when they address him. That was a joke of course, delivered deadpan in his usual style. Talking of style, for his New Year Honours interview his mod hair was perfect and he wore a natty camel double breasted military coat. We’re probably going to have to reintroduce natty to the English language just to cope with Sir Wiggo’s dress sense. He won’t do media training – how not to answer an interviewer’s question and stick with the official line – and it’s a delight to hear the man say what he really believes. Since 2006 he’s had a column in The Observer. Fair enough, he had a ghostwriting partner for this and for his autobiography – he’s been a bit busy to type. But once you hear him speak you know he can express himself articulately, in English and in French. Perhaps we love him most for his Anglo-Saxon. Here is a man who hates cheating and isn’t afraid to say so; so when idiotic journalists suggest that it’s not possible to win the Tour de France clean, he swears as well as he cycles. The man tells it like it is, and he tells us the truth. He poked fun at Gary Lineker’s chestnut-coloured fake tan, and told the millions in the Champs Elysees crowd that it was time to draw the raffle numbers. He says out loud what the rest of us wish we’d thought of. You might have seen him in Fred Perry ads; Sir Wiggo has worked with the Fred Perry team to bring out a range of cycling clothing. But he’s worn Fred Perry since he was nine. You can’t imagine him doing advertising just for the money. And he takes the mickey out of Mark Cavendish for doing Head’n’Shoulders ads. Then again, Cav likes to buy expensive sports cars. Wiggo likes scooters. Bradley Wiggins got 30% of the votes in the BBC Sports Personality of the Year, in a year when any of the 12 nominees could have stormed it. Yes, he did all that magnificent stuff on his bike, but he also has a life beyond his sport. He’ll never give a platitude-stuffed interview to fill the compulsory 30 seconds. 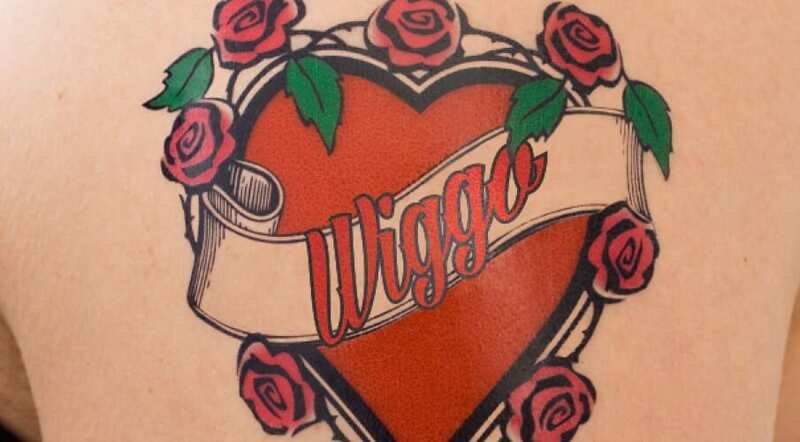 Sir Wiggo uses language to make a point, to make a joke or to do both at the same time. He talks, and we listen. As he doesn’t want to do all the celeb stuff, maybe Radio 4 could talk him into doing Thought for the Day.